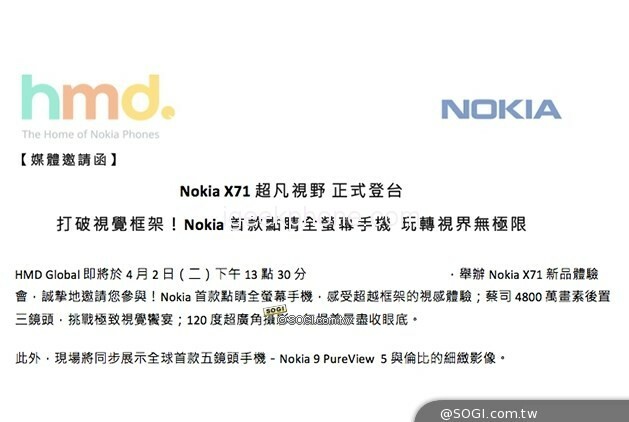 According to Chinese media reports in Taiwan, HMD has sent an invitation letter to the media, which will officially release the Nokia X71 new mobile phone on April 2. The Nokia X71 is one of the two protagonists of HMD’s announcement at the invitation, and the other is the Nokia 9 PureView five-camera phone. 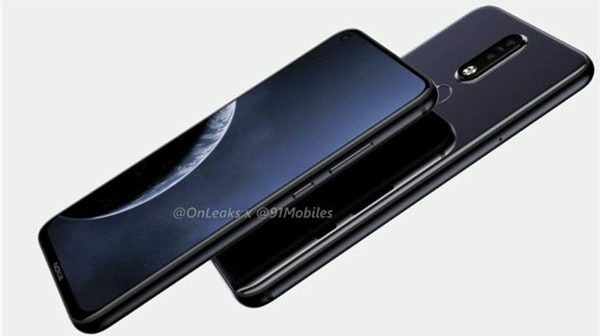 HMD said that the X71 will be equipped with a “television” full screen, which means that the machine uses a perforated screen design. 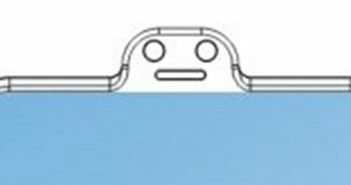 In addition, the aircraft will be equipped with a rear ZEISS three camera, one of which supports 120 super wide-angle shooting. In addition, HMD will simultaneously showcase the Nokia 9 PureView phone at the press conference and announce its release information. The Nokia 9 PureView is the world’s first rear five-camera smartphone with five 12-megapixel cameras on the back for coordinated work, capturing light and collecting depth data to create a powerful photo. The Nokia 9 PureView is powered by Qualcomm Snapdragon 845 processor with 6GB of RAM and 128GB of ROM. The machine uses a 5.9-inch 2K screen without bangs and supports HDR10. At present, there is not much news about the new Nokia X71 mobile phone. This mobile phone should be the TA-1167 that was previously certified by NCC in Taiwan. Further information about the aircraft, IT House will follow up reports later.